Google's Project Ara modular smartphone project is showing signs of life after a long lull, though it's not certain when the customizable smartphones will be available. 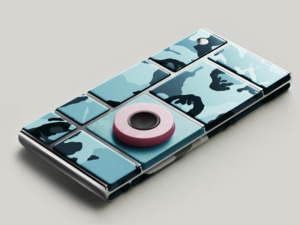 The Project Ara Web site sports a new look, with the redesigned front page carrying the project's new logo. There's also a new e-mail address, with which Project Ara developers can communicate with Google. There's no other page on the site now. Gone are the pages where developers could download software development kits and request Spiral boards on which modules could be tested. The site update may be a sign that Google is positioning itself to make Project Ara announcements. Updates could come at the Google I/O trade show, to be held May 18 to 20 in Mountain View, California. Google has said that inspiration for Project Ara came from the popular Lego toy bricks. Users can purchase a basic smartphone frame and build a handset by snapping on hardware blocks on the frame. Blocks represent key components of a smartphone such as Wi-Fi, camera, processor, battery or fingerprint reader. The price of a basic Project Ara smartphone frame with a screen was pegged at $50, with modules costing extra. Google did not return requests for comment on the status of Project Ara. The smartphone's release was delayed after initial plans for a debut in Puerto Rico were scrapped. Google said it would test the smartphone in the U.S. starting this year. Google in recent months has taken the project underground. It hasn't communicated project updates and some developers haven't received Spiral development boards they requested. To Google's silence, one poster in a module forum on Google Groups said "Google has gone Apple on us." When Motorola Mobility announced Project Ara in 2013, it was viewed as a revolutionary idea to help users make smartphones that can be easily upgraded. Google subsequently acquired Motorola Mobility, and Project Ara along with it. But other companies have now jumped ahead of Google. LG's new G5 smartphone, introduced at Mobile World Congress, has some modular functionality for cameras and audio, though it isn't as customizable as Project Ara. In addition, the Fairphone 2 is a customizable phone in which specific parts can be fixed by users; it started shipping in December last year. 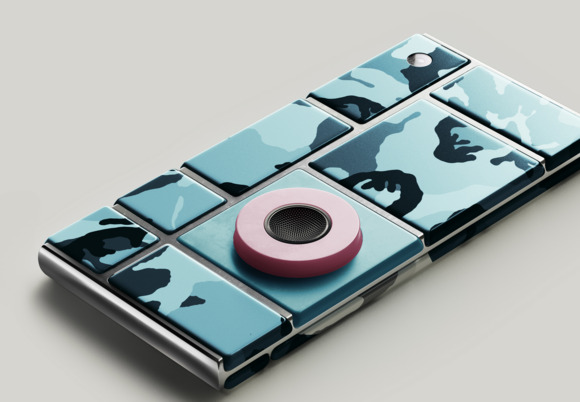 There are still many questions surrounding Project Ara. It's not certain how Google will certify modules. in addition, one of Project Ara's main module developers, Toshiba, is considering selling its chip business. During Project Ara's silent period, another project from Google's Advanced Technology and Projects (ATAP) team, called Project Tango -- which brings augmented reality to mobile devices -- has gained steam. Lenovo and Google announced a Project Tango smartphone that will come later this year starting at under $500.